Kirsty at The Awakened Mind provides Mindfulness for Children Therapy for children and teenagers between the ages of 5 - 15 in Glasgow, East Kilbride, Hamilton, Motherwell and Lanarkshire. Kirsty's Mindfulness for Children Therapy is carried out in the comfort of your own home on a one to one basis. Additionally, Kirsty can also provide family mindfulness meditation therapy sessions where parents and children can come together which helps everyone gain a collective understanding of mindfulness and also of each other. What Is Mindfulness For Children Therapy? Research has identified that mindfulness can help children to flourish, develop concentration and self-awareness. This in turn helps children feel happier, calmer and more fulfilled. Mindfulness also helps children get on better with others and can improve behaviour and performance in school, sport and other leisure activities. Mindfulness also provides children with a toolkit so they can effectively cope and manage stress and anxiety which improves their overall health and wellbeing. Nowadays children experience stress from many different situations, issues and environments. This includes broken families, blended families, peer pressure, bullying, academic demands, body image and violence, both real and that of fiction from movies and video games etc. Teaching mindfulness at an early age can therefore benefit children not only now, but also in the future so they grow and develop in to more balanced adolescents and adults, minimising the chance of them developing mental health issues later in life. How Does Mindfulness For Children Therapy Work? Mindfulness with children works in the same way as it does for adults, it is just simplified so they learn all the benefits of mindfulness in a fun and engaging way. Mindfulness for Children Therapy uses simple mindful techniques and practices aimed at children which are adapted to suit the individual child's age and understanding. This includes short body scans, short sitting meditations, games, drawing and colouring, while encouraging less screen time. Gratitude lists, or jars, are also used and mindful eating is also promoted and encouraged. Mindfulness for Children Therapy not only helps children who are struggling to cope with stress and pressure, it is also extremely beneficial to children who are seemingly 'doing alright'. Mindfulness for Children Therapy is therefore beneficial to all children and not specific groups as mindfulness can be used to empower all children so they take better control of their emotional life and wellbeing. 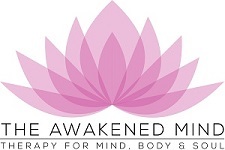 To book an appointment, or for professional, friendly and confidential advice regarding Mindfulness for Children Therapy, contact Kirsty at The Awakened Mind.